Sump & sewage pump repair & replacement is considered to be one of the most important plumbing jobs, which should never be put off for later. A sump pump mainly works by automatically draining out ground water from under your home, which prevents it from being flooded during the raining season. Many homes in Canada have sump pumps installed, which prevents the overflow of sewage water inside a home. When a sump begins to malfunction, you are open to all sorts of devastation, especially during the rainy season. Many times sumps will fail, but the failure may just be minor like a shorted wire or probably a blocked line. However, many people may think that the sump has failed because it is damaged, and will be willing to replace it with a new one. Many sumps have a life cycle of around five years after which it is always a good idea to get them replaced because they are not as reliable and functional as they need to be. In some cases the solution might be as simple as the sump itself that will need to be easily replaced or it can be more a complex problem requiring a serious approach by a professional. 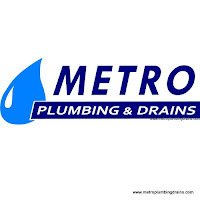 At Metro Plumbing and Drains, we believe in providing quality services at affordable rates.